Pieter Bruegel (Brueghel) the Elder (c. 1525 – 9 September 1569) was a Flemish Renaissance painter and printmaker known for his landscapes and peasant scenes (so called genre painting). 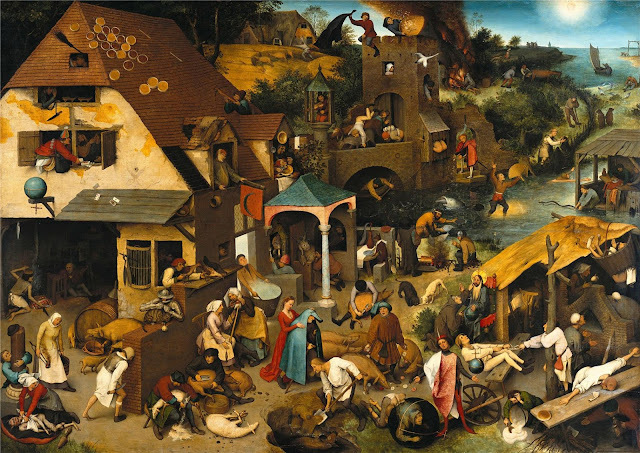 He is sometimes referred to as the "Peasant Bruegel." From 1559 he dropped the 'h' from his name and signed his paintings as Bruegel.